Ezyhaul, a Singapore headquartered logtech (logistics-tech) startup, has just announced that it has raised S$1.2 million in seed funding from a group of undisclosed logistics industry leaders. Founded in Singapore in April 2016, Ezyhaul aims to address the inefficiencies that have emerged in the $27 billion-worth road freight industry in Southeast Asia. Using an “Uber-like technology platform”, the startup provides a free-to-use service for shippers to connect with transportation companies and make bookings for domestic and cross-border transportation services. It also provides its users a real-time tracking system for their dispatches, and access to electronic documentation and e-PODs (proof of delivery). Not just for shippers – transportation companies on the Ezyhaul platform would also benefit from the maximisation of utility for their fleet of vehicles, reducing the occurrence of empty backhauls. The SGD$1.2 million seed investment will fuel product development, growth within Ezyhaul’s launch market Malaysia, and allow expansion to other key markets in Southeast Asia. Currently, Ezyhaul’s network in Malaysia includes over 500 trucks of various capacities. The logistics industry is booming, and we were interested to find out more about a startup which aims to utilise technology to simplify coordination processes, and maximise the efficiencies of initially tedious processes, so we got in touch with Gillon to find out more about their motivations and future plans. 1. What were inefficiencies in the industry that you wanted to solve with Ezyhaul? First and foremost, we are addressing the problem of ‘empty backhauls’. In Southeast Asia, over 65% of all trucks return empty after delivering their loads. Furthermore, the average load factor of trucks on the road is less than 40%, so there is a lot of empty truck space moving around un-utilised. We realised that the main reason for this is the fragmentation in the market, resulting in a poor matching of supply and demand. Next, our platform makes it a lot easier for shipper to book a shipment. Traditionally, shippers can lose a lot of time calling different truckers to find an available truck, especially for urgent shipments. 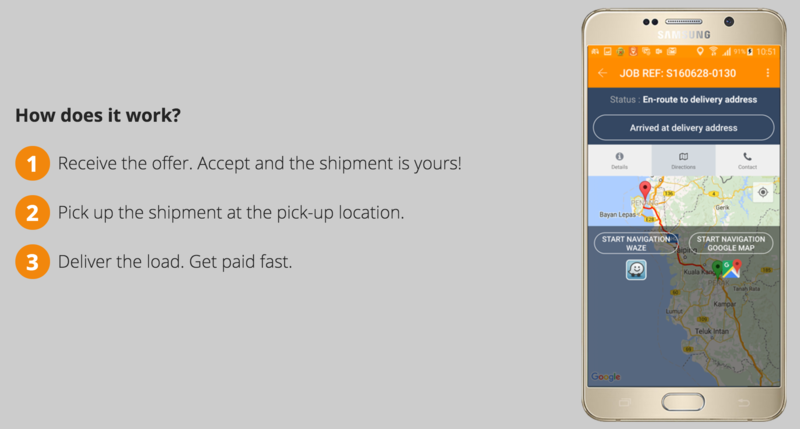 Through the Ezyhaul platform, they can book a truck as easily as how they book a taxi with Grab or Uber. Besides, these shippers now have online real-time insight in the status and location of their shipment. We also work with predictive analysis to assess when the trucks will arrive at the client’s location. This way, we can inform clients in an early stage of deviations, and there are no more unexpected surprises, and far fewer problems when trucks arrive early or late. Using our platform, we managed to achieve much better matching between demand and supply. This results in additional loads for truckers who are improving the utilisation of their trucks and thus seeing an increase in revenue and profitability. For shippers, we are also able to offer very competitive prices. 2. Your service helps both shippers looking to connect with transportation companies, and transportation companies themselves by sending out shipper requests to them – how are these matches successfully conveyed? 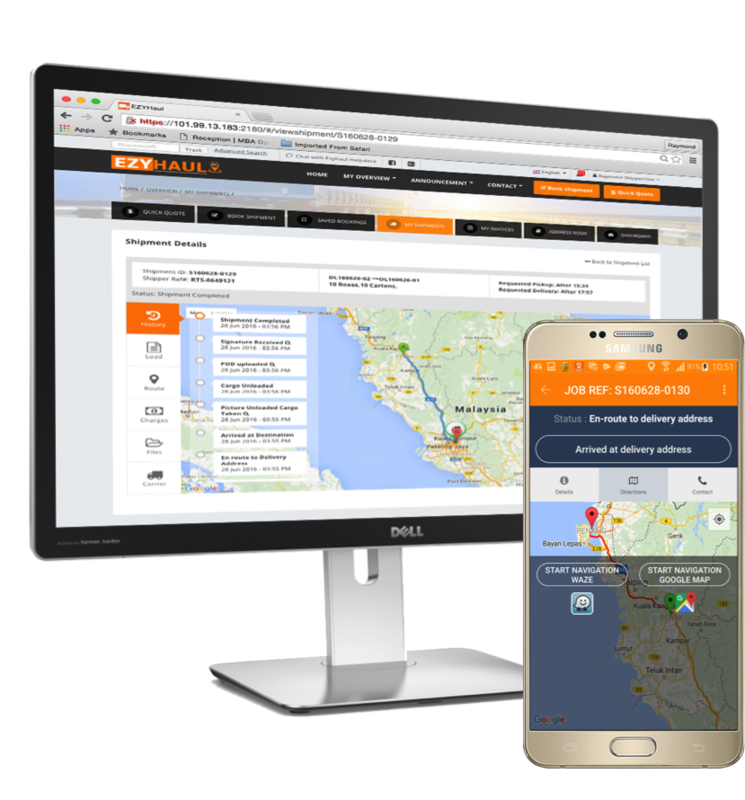 Once a shipper has made a booking on our platform, our system will automatically select those transportation companies that would be able to handle this shipment in terms of truck type, but also the current location of their truck(s). Each of the selected transportation companies will receive the offer via our mobile and web applications. The transportation company that accepts the offer first is now entitled to conduct the shipment. The shipper will automatically be informed once the shipment has been accepted by a transportation company and will receive all relevant details about the carrier. 3. On your website, users are easily able to sign up to be a driver – does that mean that drivers from small companies (with 1 or just a handful of trucks) can also be part of the system? Yes. Although we have a wide range of transportation companies on our platform small and large, there is a concentration of small and medium sized companies. Our experience is that they are eager for business and very entrepreneurial. Furthermore this segment is typically experiencing lower levels of utilisation of their trucks because they have less opportunity to optimise their fleet and loads. 4. When was the date of launch in Malaysia? Why did the company decide to start off in Malaysia? We launched our services in Malaysia in September 2016. The decision to start in Malaysia was the result of a thorough market analysis in the Southeast Asia region. The size of the market was perfect for a concept like ours – not too small, not too large. The key for us was to quickly reach a critical mass in the launch market, which will then become a launch pad for further growth. Fortunately, we have strong personal networks in Malaysia which has helped us to hit the ground running. One of our co-founders, Mudasar Mohamed, was the MD for UTi Worldwide in Malaysia and Singapore. 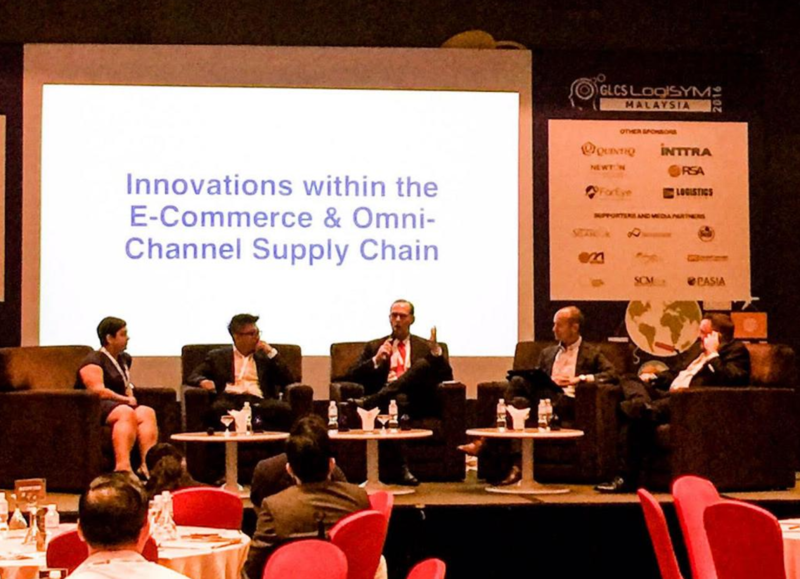 A second co-founder, Nicky Lum, has been a sales director in the logistics industry in Malaysia for 20 years. Personally, my last position was MD for UTi Worldwide in Vietnam and Cambodia, but I have also been based in Singapore in a regional executive role for several years. 5. Are there plans to expand to Singapore? Where are the other locations you’re looking to launch in? Our company HQ is already in Singapore, but operationally, we will be entering Singapore very soon, not in the least because of the significant cross-border trade volumes between Singapore and Malaysia. We will start this service within the next month. Within Southeast Asia, we are currently setting up entities in Indonesia and Thailand. Next, we will be building teams and start operations later this year. 6. What are the product development/growth aspects you’ll be working on with the funding? We use the current funding to fuel growth in the launch market Malaysia, to further develop the technology platform and add additional services, and to launch operations in Indonesia and Thailand. The fact that the team at Ezyhaul have described their platform as “Uber-like” already goes to show that the ride-hailing platform has done something pretty darn right when it comes to the simplification of what used to be tedious processes. The logistics industry is rapidly expanding, businesses need to keep finding new ways to improve coordination between players in each step of a single delivery – and it seems like Ezyhaul’s success in tapping into the market is very timely indeed.